Are you excited for C7s AoS RPG? I started creating this because my gaming group wanted to explore the Realm Master idea from the Hinterlands expansion from @bottle (Thank you dude!). The only reason I formalized it into a shareable ruleset, is because my gaming group doesn't want to play anything else but this (and a bit of shadespire). If it's good enough to get 5 busy dads to set aside a late late night every month for the last 8 months, then I hope it's good enough for you. Thank you to @Pjschard, @Red_Zeke, Aaron and Kenny for the many fun hours of rolling dice. This is from us to you! Renown Or Ruin RPG Campaign Expansion Download Four heroes take their first step towards their own legends, each shadowed by a small group of followers. Together they journey into the spired city to unlock the challenges and riches that have been entombed within. It's not gold they seek, but Relics and Artefacts of old, but even those are a means towards something greater. Even great battles will suffice in transforming them from just another fighter in armies of their homelands into great leaders whose names resonate throughout the Mortal Realms. The only path suitable to reach great Renown crosses over the pit to terrible Ruin. 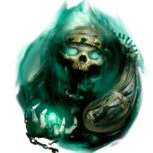 Renown or Ruin is run by a Realm Master (RM) who leads 1-4 players and their warbands through a setting using battleplans and roleplay, to weave stories of legend. Shape their world and challenge them to overcome Battleplan Objectives, find Relics and Artefacts, take on Quests, and make decisions faithful to the character of their Hero. Between excursions into the city of Shadespire, give them places of Respite where their followers drink, eat, share stories about the Heroes they follow, and their legend grows. When a Hero grows in Renown, more people seek to follow them. But fail in the objectives and quests you've set before them, and their followers lose faith and find someone else to believe in. Features: Warbands increase and decrease in Renown which allows the Hero to gain and lose followers. Explore a city full of ruins through simple skirmish battleplans that are instantly more fun with 3-5 people around the table. A Simple Relic hunting mechanic that gives warbands a choice to aid their party or seek treasure for themselves. Heroes and followers can wield relics and artefacts to give them buffs and abilities. Use a Warband Journal to track your player's journey of Renown 6 steps to getting your first game started without any fear! Dusk Plains Skirmish Battleplan for your first night. Master Relic Hunter Skirmish Battleplan for interesting plot hooks. Grim Exchange Respite sheet to serve as your party's first base camp. 8 Sessions, 24 hours of playtesting by 5 devoted gamers with half decent intelligence. There are so many interesting and cool expansions available for playing Skirmish in more rich and interesting ways. Renown and Ruin brings something a little bit different that I hope is worth you trying out with your gaming group. We've had a good amount of time to play and think about improving this. We need your help to make it better! This is now the in-game thread for the Regemential/Warband RPG started here, The Rattling Night The Pickled Wurm was loud and musty. Between the many travelers clustered around tables, the dirty laborers stopping by on their way home, and the stench of wurm; that had permetated the city since the cursed Skaven had erupted from beneath the great Wurm’s skin; it was hard to stand the stench, unless you drowned it out with alcohol. Gullus was trying to do just that. Between his long shifts at the lift cages, bringing that damn Vurm-tai rider to his superiors, and then seeing the notices posted round the city, he knew he’d need multiple tankards of the taverns fermented wurm oil to feel better. And if his past couple of days hadn’t been enough, his Vurmite livery seemed to act as a beacon for every idiot in the place to ask him about the notices that were posted inside this tavern and every other establishment like it in the city. He knew no more than they did, rumors from what had happened within the City Council’s chamber, and what the notices’ said, though few that asked seemed to believe him. “Bar Keep, another!” He motioned sloppily with his empty tankard as caravan guard captain vacated the stool next to him after asking about the notices. “Damn, coin dogs” Gullus muttered under his breath. “Bar Keep!” “Fill my-“ “Sigmar’s Thunder, Boy!” “Don’t you hear the bells? !” Snapped the bar keep. The bar keep had been standing seemingly lost in thought but now Gullus heard the bells over the din of The Pickled Wurm as well. ‘Blast! What could that be? Another Skaven attack? Something else?’ Gullus tried to control his thoughts and get his limbs under control. Standing up, Gullus put his helm on and looked around for his halberd. The room was now at a murmur, most patrons had heard the bells and those nearer the door had started to look towards it with alarm in their eyes. Now shouts and cries of pain could be heard from outside as well as the alarm. As Gullus gave up looking for his halberd and tightened the belt that held his short sword around his waist a woman in the flowing leaf robes, showing her devotion to the Lady of Leaves, stumbled into the tavern clutching her stomach. A deep red stain was quickly spreading across her clothes. ”Rats, rats everywhere……….and bones, th………bones…rattle….” She gasped as she stumbled into the group around the table nearest the door. Sounds of battle could now be clearly heard outside of the tavern. Drawing his sword Gullus rushed past the dead women out into the square. Easing the wife into AoS with an RPG narrative campaign! Over the years, my wife tried Warhammer Fantasy and found it unappealing. But with the change to AoS she wanted to give it another try so we could play games together. We played a small demo, just to get her acquainted with the rules and assess if she would enjoy playing more. And she did! So now we are planning a long, slow burn action RPG AoS narrative campaign for us to play. The plan is for her to start with a single hero; a brave young woman bent on saving her village that is trapped in a realm filled with daemons and undead and chaos. As she hunts for additional help, she'll find other heroes and brave individuals willing to follow her. By the end, she'll be commanding a whole force that will fight through hordes of chaos to get back to and defend her village--with the goal of using magic to move the village to a safer place. I'll share rules that I build for this campaign on this post. We plan to do it slowly as we'd like to paint the models we use and build as much scenery as we can stomach for the campaign. Neither of us are great painters, but I think we'll enjoy the campaign more if we put down models that aren't just bare grey plastic. So I'll also post pictures of parts of the campaign as they happen. I'll be ordering her hero soon, but it may be weeks or a month until we are able to start. Until then I'll start brainstorming ideas and sessions. Would love to hear from people that have also done this kind of action-RPG AoS campaign!